After two and a half years, out podcast comes full circle. Jurassic World was part of our discussion during episode one of our show, and now, 132 episodes later, we revisit the land of dinosaurs in the pure blockbuster film Jurassic World: Fallen Kingdom. We give our thoughts on the film and the overall direction of the Jurassic franchise on today’s episode. Thanks for listening! I believe that the movie theater is sacred ground. It’s an institution that should be respected and held in high regard for its unbelievable ability to give us a place where we can see the latest in cinema magic. It’s a unique experience unlike anything else in our society, and it should be revered and treated with dignity! However, respect for the theatrical experience has taken a bit of a nosedive. It’s tough to go watch a movie nowadays and leave without incident. Just recently our viewing of Hereditary was ruined by a few youngsters on their phones, screen-hoppers, etc. Not the best film for that to happen to, trust me. But there are a few things that you and I can do to improve our overall experience, because we all want our time on this tiny blue planet to be enjoyable, and we all want our movie-watching to be the best it can be. I know it’s cool and hip to reserve seats now and skip the endless number of previews (seriously, 25 minutes of trailers is a BIT much! ), but getting there early allows you to take in the energy and the anticipation of the film you’re about to watch. Try it if you haven’t in a while. It’s worth it. If you’re not reserving your seats, get there 15 minutes early so you can get the seat you want and you won’t have to wade through the crowd. We like to dress for the event when we go to the movies. And when I say dress, I mean throw on whatever t-shirt goes with the film. I went out and bought a $5 Jurassic Park shirt so I could wear it to Fallen Kingdom, and it was fun, and it was neat, and it made the night all the better. Just recently we took the whole family to see The Incredibles 2, and we dawned our masks and Incredible shirts and we took pictures and just had a great time. Try it! I shouldn’t even have to say this, but you know, 2018. When the trailers start, put your phones away! Seriously! Turn them off! Just turn the thing off, put it in your pocket, your bag, your cup holder, and just forget it exists for two hours. Not only will you feel better being off your phone, you’ll be more present in the film, and you’re spending too much money on a ticket to be on a device that you’re always on anyway. Let it go! I know the tendency is to find things to pick apart in the film, but if you just resist the urge for a few moments and instead look to what you preferred in the film, I think you’ll find the experience much more rewarding and fulfilling. Movies, like any art, shouldn’t be subjugated to our buzzword criticisms (caveat: if you’re prone to the critical side and you find actual enjoyment from this, criticize away, but just don’t do it at the expense of others’ enjoyment). 5 – Talk about it! This doesn’t contradict rule 4. I think it’s fun to talk about movies after you’ve seen them, but without the need of trying to break everything down and rip it to shreds. If it’s a movie you genuinely love, it makes it all the easier. Riding in the van with the kids after Incredibles 2 was awesome because we got to talk about all the fun things we saw. It’s also fun to theorize a little bit and create some of your own fan-fiction. There you go! 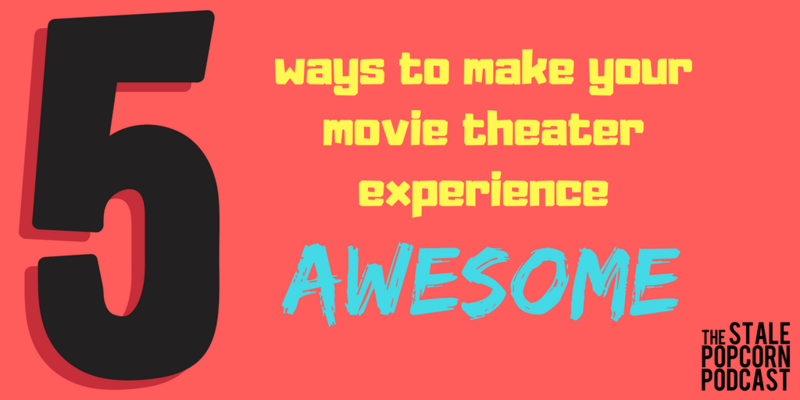 Five simple rules to make your movie-going experience awesome! Do you have any others to add? Let us know on Twitter at @StalePopcorn or on our Facebook page! Happy movie watching! • We share some of our awkward job interview stories and try to figure out what steps to take next in our search for careers. • Josh & Jordan share their favorite films from the legendary film studio. • Why did it take so long? What did he think? And what film juggernaut is he going to tackle next? Josh reviews Adrift, starring Shailene Woodley and Sam Claflin. Josh is here reviewing The Inredibles 2, in theaters now! We’re back again with another episode talking about the latest stuff that’s going on in the world of cinema. Jordan reviews Hotel Artemis, starring Jody Foster and Sterling Brown. Josh Goes to Disney World! Today, we discuss Josh’s current dive into the hit films of the past, and we talk about former Jackass alumni, Johnny Knoxville’s newest film Action Point, which seeks to hearken back to his MTV glory days of slapstick pain and comedy. Are the stunts enough to make it worth your while? Should we have seen Adrift like everyone else did? Find out today on the Stale Popcorn Podcast. On today’s episode, we are looking at the fantastic bonus feature on “The Last Jedi,” “The Director and the Jedi,” and we’re asking ourselves if seeing this unique glimpse behind the scenes makes us view things differently with regards to the divisive film that people just can’t stop complaining and defending. 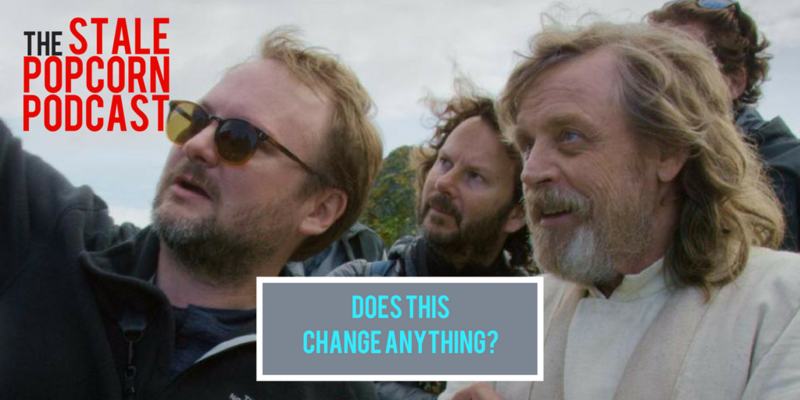 Is Rian Johnson as evil as everyone makes him out to be? Or should we all just…breathe and give him some kudos for taking some chances here? Happy Memorial Day! We want to take a moment to thank all the men and women who serve our country, who put their lives on the line for our freedom every single day. Thank you to them, thank you to their families, and we wish you a wonderful day today. 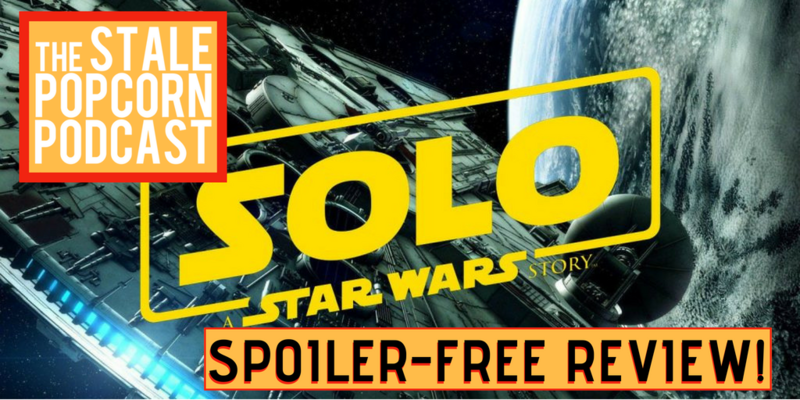 On today’s episode, we’re discussing the latest film in the Star Wars universe, “Solo: A Star Wars Story,” and to be totally honest with you right at the top of this, we have to say we loved it. We’re not going to mince words here; if you are someone who disagrees with the direction Disney is taking with this franchise, it may be time for you to move on. But if you want to hear a fun take on the latest film, give us a listen and let us know what you think! Episode 127 | Deadpool 2: Is “Good Enough” Good Enough? 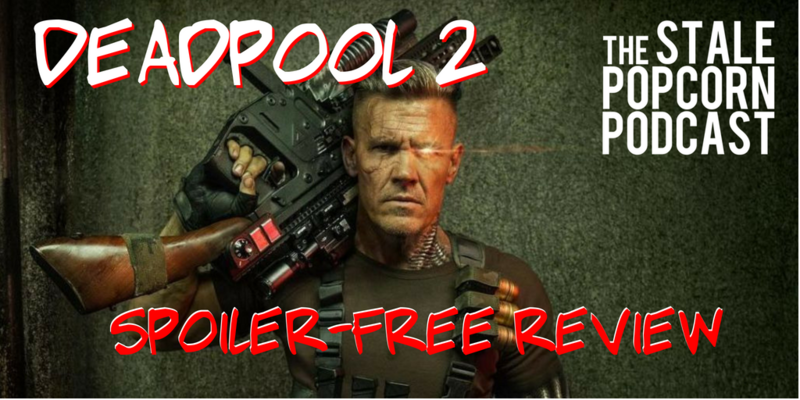 Today we talk about the newest and crudest film from Marvel, Deadpool 2. We give you the rundown and tell you what we liked about the film and offer our own constructive criticism of the movie. Overall it’s just a fun episode about some hot summer movie fun. Enjoy! Today we have a hearty discussion about Kentucky weather, Childish Gambino’s “This Is America” video, the upcoming Han Solo film, and finally and certainly most least, we talk about Melissa McCarthy’s Life Of The Party. Thanks for taking the journey with us. What’s up, Mr. Pool? Let’s talk. 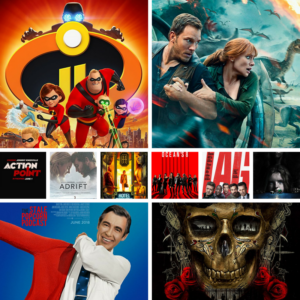 A brand new month means a brand new set of films to look forward to, and we’ve got some great ones on deck that we are definitely ready to see! Namely, Solo & Deadpool 2! But there are others that are worth checking out as well, so let’s get to it! Enjoy the episode! Tully stars Charlize Theron as Marlo and Mackenzie Davis as Tully, in a story filled with difficult and rarely talked about issues that many parents, especially mothers, deal with on a regular basis. This film shines a light on these tough topics, but let’s talk about the story and whether or not it serves its purpose. And Mother’s Day is coming up soon. Are you prepared? You better be! Lastly, congratulations to Josh’s wife, Crystal, who just completed her Master’s degree! Well done! 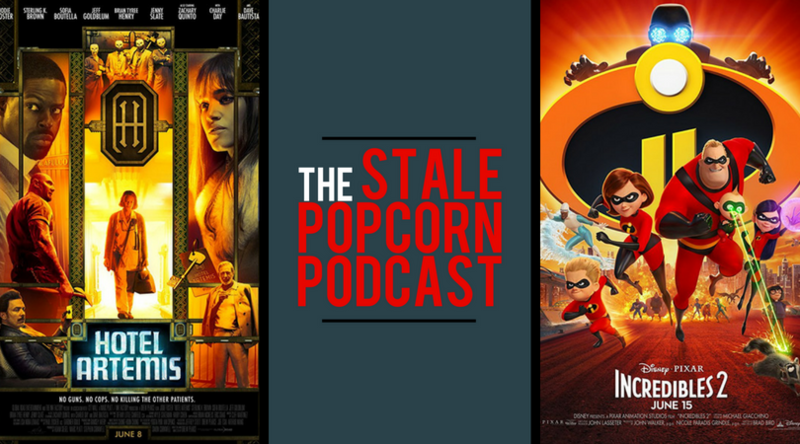 You can listen to all of our episodes by going to www.stalepopcornpodcast.com or on iTunes. This morning Marvel unveiled a brand new trailer for Ant-Man And The Wasp. Check it out below and let us know what you think about it!